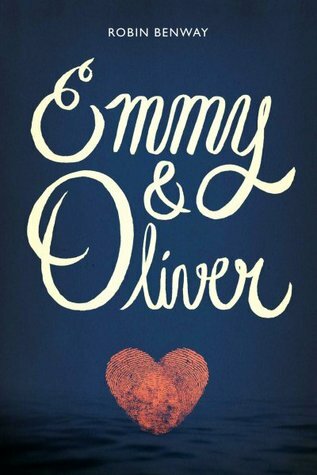 I have seen a plethora of bloggers rave about the characters and overall sweetness of Emmy & Oliver. Until the day I picked it up, however, it wasn’t really one of my plans to read it- but since there was a copy of it in my local library and because it looked cute, I decided, why not? Just as I anticipated, I adored this book! Although it does cover some sensitive topics such as kidnapping and betrayal, I found that the overall tone was quite light-hearted. The characters were strongly crafted and there are some valuable morals to be taken from the reading of this novel. Emmy & Oliver revolves around a high schooler named Emmy. Some years ago, one of her best friends named Oliver suddenly disappeared, turning out to have been kidnapped by his father who did not live with him at the time. Flash forward all of these years, and now he is back home. Despite the fact that they hadn’t spoken since they were kids, Emmy wants to revert right back to being friends with Oliver. But Oliver is scarred from his ten years away- will they still be able to bond as friends… or possibly even more? Emmy was a flawed character, but that is a-okay with me. A character cannot truly come to life without having flaws- flaws are what helps them develop by the end of the novel. In our case, Emmy kept some secrets from her loved ones and this really annoyed me at times, but if I were to leave that aside, she was an extremely kind and warm character to read about. She was upbeat and gregarious and she gave loads of useful advice to other characters when they were in need of it, proving that she was very intuitive as well. As said before, Oliver was definitely scarred from his past, which is likely an understatement. Absolutely no one should have to go through what he’d experienced in his mere seventeen years of life. In spite of this, his heart was built up with bundles of sweetness and I’m glad that he was able to share it with both the characters and the readers. This book’s plot wasn’t its strongest feature by a long shot. It was predictable and slow, but although the events didn’t necessarily stick out to me, it was the immense character development that kept me amused throughout. All in all, I can for sure see myself recommending Emmy & Oliver in the future to fans of heart-warming contemporaries. It was certainly flawed in some aspects, but the amazingness about this book for sure overweighs all of the tiny bits of blandness.